Beautiful Investment Opportunity in Historic Area of Springfield. Can be used as single-family or 2 dwelling units. The house is completely gutted on the inside and needs a complete renovation - it is uninhabitable in its current state, and is being sold as-is. New roof done on 10/23/2014. Third floor can be used as livable space if converted. 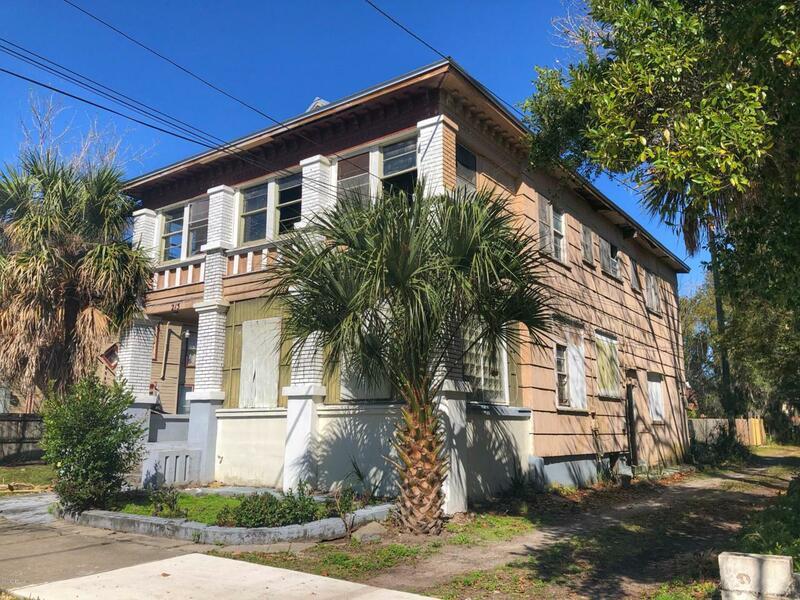 Any renovations to this house would need to be approved by HPC (Historic Preservation Commission) due to it being one of three historic districts in Jacksonville. See SPAR guidelines in document section. FHA 203k ''rehab'' loans are a possibility.